Christina Blair, DFC Director, and Nina Rains, coalition coordinator, received a graduation certificate from Community Anti-Drug Coalitions of America for completing the National Coalition Academy. The Fayette County Prevention Coalition was honored recently for its completion of important training. On Feb. 5, the Fayette County Prevention Coalition was one of 112 community coalitions honored during a graduation ceremony at Community Anti-Drug Coalitions of America’s (CADCA) National Leadership Forum, just outside of Washington, D.C. The coalitions received a graduation certificate for completing CADCA’s National Coalition Academy, a rigorous training program designed to increase the effectiveness of community drug prevention leaders. The coalition recently worked on conducting a Pax Good Behavior Game training, Responsible Beverage Server Training, and tripling the number of drugs taken back annually. CADCA’s National Leadership Forum is a four-day event packed with opportunities to learn the latest strategies to address substance abuse and hear from nationally-known prevention experts, federal administrators, and concerned policymakers. The forum brings together approximately 3,000 attendees representing coalitions from all regions of the country and internationally, government leaders, youth, prevention specialists, addiction treatment professionals, addiction recovery advocates, researchers, educators, law enforcement professionals and faith-based leaders. It is the largest training event for the prevention field. The Fayette County Prevention Coalition will create a unified community response to prevent youth substance abuse and support the development of effective community programs to promote a safer, healthier, and drug-free Fayette County. The mission of Community Anti-Drug Coalitions of America is to strengthen the capacity of community coalitions to create and maintain safe, healthy and drug-free communities globally. This is accomplished by providing coalition development assistance and training, public policy advocacy, special events, media strategies and marketing programs. 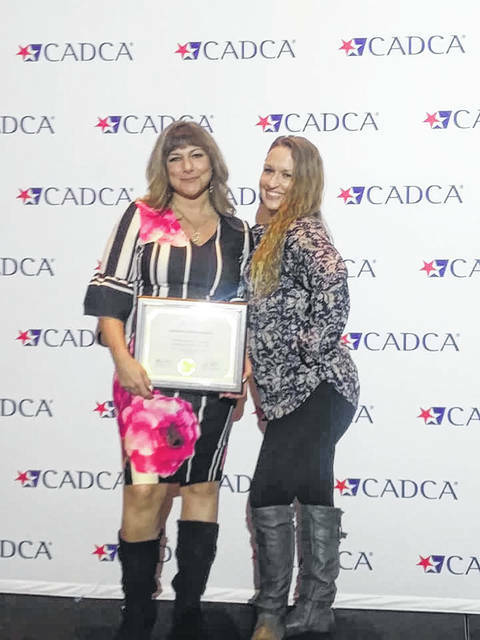 https://www.recordherald.com/wp-content/uploads/sites/27/2019/02/web1_nina.jpgChristina Blair, DFC Director, and Nina Rains, coalition coordinator, received a graduation certificate from Community Anti-Drug Coalitions of America for completing the National Coalition Academy.